​Has the State of Texas accused you of a crime? ​DWI, Theft, Possession of Marijuana, Drug Charges, or Assault? RJ Harber will protect you through the whole process and seize any opportunity to get your case resolved favorably, reduced, or even DISMISSED. Getting hit with a DWI or DUI is never in anyones plans, but it is important that you take action sooner than later to ensure that this affects your life in the least negative way possible. RJ Harber is an experienced Dallas DWI attorney, having been representing clients in drunk driving cases for over 10 years. Other types of law he practices are, drug charges, theft, evading arrest, & expunctions. 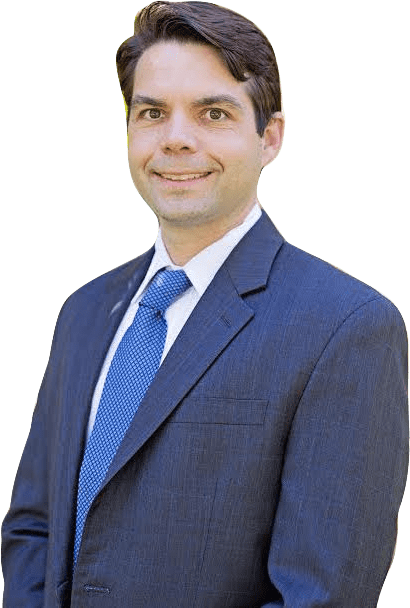 Based off his track record as a Dallas DWI lawyer, it is clear that RJ Harber has an extensive amount of experience and knowledge when it comes to DWI cases. Finding a DWI attorney you can trust is the most vital part of your trial. When it comes to DUI, Mr. RJ William Harber is the best lawyer in Dallas to reach out to. As an experienced Dallas DUI layer and former prosecuting attorney, RJ knows the ins and outs of every possible DUI trial. Call his office now for a free DUI consult. "This gentlemen is by far the best attorney money can buy. He was understanding, polite and kind! I never once had to miss work nor did he ever bug me. He took care of my case by himself and QUICK might I add! I caught my DWI on February 5th 2018, by December 11th 2018 he had got my case dropped down to Obstruction of a Passageway.! POINT blank don't waste time with other attorneys, come straight to the best one here in the DFW. ( you wont regret it ) Sincerely A pleased client 🙂"
​Did you find yourself in a situation similar to Claudia's? ​Call us and schedule your consultation today! When it comes to criminal law cases, a determined and effective criminal defense attorney can mean the difference between a prison sentence and reduced or dismissed charges. William "RJ" Harber, attorney at law, is dedicated to defending the rights of the accused and is committed to the presumption of innocence. Even in less serious cases, a good criminal defense attorney can make a serious impact on the outcome of the case by ensuring that rights of the accused are protected throughout the legal process. ​For these and other reasons, it is vital that those accused of a crime select an attorney who understands the complexities of the Dallas and Tarrant County criminal justice systems. RJ has competently and effectively achieved desirable result for his clients in the DFW metroplex defending them with unparalleled vigor and determination. The Law Offices of RJ Harber offer many different types of criminal defense. Below is a list of the types of services we provides as a criminal defense law firm. We serve the Dallas/Fort Worth metroplex. ​Will I lose my Driver's License? ​Any arrest for DWI in Texas initiates two separate legal proceedings. One is the criminal case that may result in the penalties we’ll discuss. The other is an administrative proceeding overseen by the Texas Department of Public Safety. This administrative proceeding is completely unrelated to the criminal case. If you are arrested for DWI in Texas, you will be asked to take a breath or blood test to measure your blood alcohol concentration level. If you refuse to take the test, or if you fail the test by having a blood alcohol concentration of 0.08% or more, you will be subject to an administrative license suspension from the Texas Department of Public Safety. In such a case, the arresting officer will confiscate your driver’s license and issue a temporary driving permit. This temporary permit is good for 40 days from the date of the arrest. On the 41st day following the arrest, your driving privileges will become suspended. The length of this suspension depends on the number of previous DWI convictions on your record and whether you refused blood alcohol testing after your arrest. ​Will my drivers license be suspended after a DWI? Do you need a way to drive? Here at the Law Office of RJ Harber, we may be able to help you obtain an ODL or occupational drivers license. Our law office will make this complicated process as easy as possible for you. ​Have received two occupational licenses in the last ten years. ​What is an ALR Hearing? An Administrative License Revocation or ALR hearing is extremely important when fighting a DWI if you want to keep your license. By requesting an ALR hearing, you are forcing the DPS to prove their case against you. The ALR license suspension process is overseen by the Texas Department of Public Safety and is completely unrelated to the criminal DWI charges pending against you. If you refused or failed a breath or blood test following your arrest for DWI, your license will be suspended by the DPS from 90 days up to two years. If either of these things occurred following your arrest, the police officer involved confiscated your driver’s license and issued you a temporary driving permit. This permit also contained a notice that your license will be suspended 40 days from the date the permit was issued. The only way to avoid this suspension is to request an ALR hearing within 15 days of the date that you received the suspension notice. ​DPS will generally attempt to use the arresting officer’s written affidavit to prove their case against you. An experienced DWI attorney will issue a subpoena and compel the officer’s attendance at the hearing. If the officer fails to show up, you win your case by default. If the officer does show up, there is a chance to show evidence of innocence that was not contained in the police report. ​Will I be on probation after a DWI conviction? ​If you are convicted, or you pled guilty to a DWI, the courts can grant you probation as an alternative to jail or prison up to two years for a misdemeanor and up to ten years for a felony. Learn more about how you can reduce this penalty. Probation for a DWI in Texas is an agreement between you and the court that your jail sentence will be suspended in return for you following a stringent list of rules for a specific period of time. This period of time is called the probationary period and can last up to two years for a first DWI. ​Attend Classes – You may be required to attend specific classes. These can include a DWI Education Class or a Victim Impact Panel. ​Submit to Alcohol/Drug Testing – While on probation, you will have to submit to regular alcohol or drug tests. If alcohol or drugs are detected, additional conditions can be attached to your probation, your probation can be extended or even terminated, and have you could have a jail sentence imposed. ​What are the punishments for DWI? Possible ignition interlock device requirement. ​What are my chances of acquittal if I go to trial? ​Your attorney will discuss with you whether a trial would be in your best interests. Every DWI case is different. The facts surrounding your case will determine if proceeding to trial is the right step. ​What are my options after a DWI arrest? ​You have two main options regarding your arrest and conviction – you can go to trial with an attorney representing you, and fight the arrest, or you can plead guilty or no contest to your charges. Going to trial is a lengthy process that will require you to show up for several court dates. Your first appearance will happen anywhere from 30 to 60 days after your arrest. At this hearing, your attorney will be able to request any evidence that the prosecution holds in your case. At the first appearance, the court will give you a date 20 to 30 days in the future for the next hearing, called the announcement. In addition, a second announcement hearing will be scheduled an additional 20 to 30 days in the future after the first announcement. At the announcement hearings, your attorney will have the opportunity to review all court documents and police records for any procedural or evidentiary defects that may warrant a dismissal of your DWI case, so these hearings are rather important. At the second announcement hearing, you will be required to “announce” your intention to fight the charges at trial, or plead guilty. ​If I failed my breath test or field sobriety test, am I automatically going to be convicted? Road or weather conditions affected your field sobriety test performance. An experienced DWI attorney will be able to tell you what factors, if any, work in your favor and use these in your defense. ​Yes. Texas takes the crime of DWI very seriously. It’s essential that you contact an experienced DWI attorney immediately. An experienced Texas DWI attorney will look at the evidence, perform an investigation into the facts, and give you advice on the best way to proceed based on your unique situation.